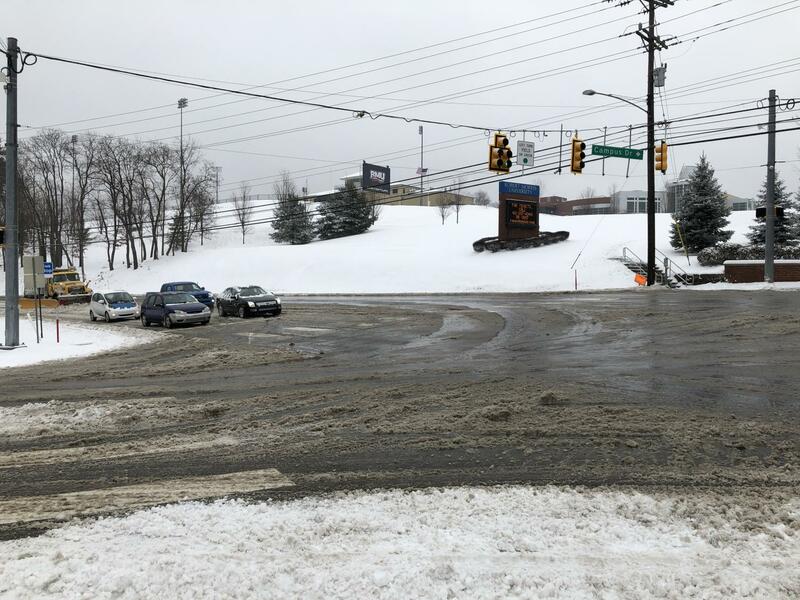 MOON TOWNSHIP – Winter can be a treacherous time to drive, especially when snow and ice are covering the roads. According to research done by the AAA Foundation for Traffic Safety, inclement weather is a factor in more than 500,000 crashes and more than 2,000 road deaths every winter. AAA encourages drivers to be prepared, slow down, and practice caution during the cold days to come. Have your battery tested. If a battery is more than three years old, have it checked by a professional as soon as possible to ensure that it’s strong enough for extremely low temperatures. Inspect your tires. Make sure tires have an adequate tread depth of at least 4/32” since worn tires can affect the car’s ability to stop in slippery conditions. An easy way to check for wear is by inserting a quarter into your tread groove. If the top of Washington’s head is exposed, the tread depth is less than 4/32″ and it’s time to replace your tires. Additionally, make sure you have a spare tire that is properly inflated, just in case. Carry an emergency kit equipped for winter weather. The kit should include sand or kitty litter, a small shovel, flashlight, an ice scraper or snow brush, booster cables, a blanket, gloves or mittens, and flares or reflective triangles. Stay home. If it’s not mandatory for you to leave, then don’t. Do not tailgate. Extend the normal following distance of three seconds to five or six when driving on slippery roads. The extra time will provide additional braking room should a sudden stop occur. Never use cruise control on slippery roads. If your vehicle hydroplanes or skids, it will be harder for you to regain some traction simply by lifting off the accelerator. Slow down and adjust your speed to the road conditions. Accelerate, turn, and brake as gradually and smoothly as you can.